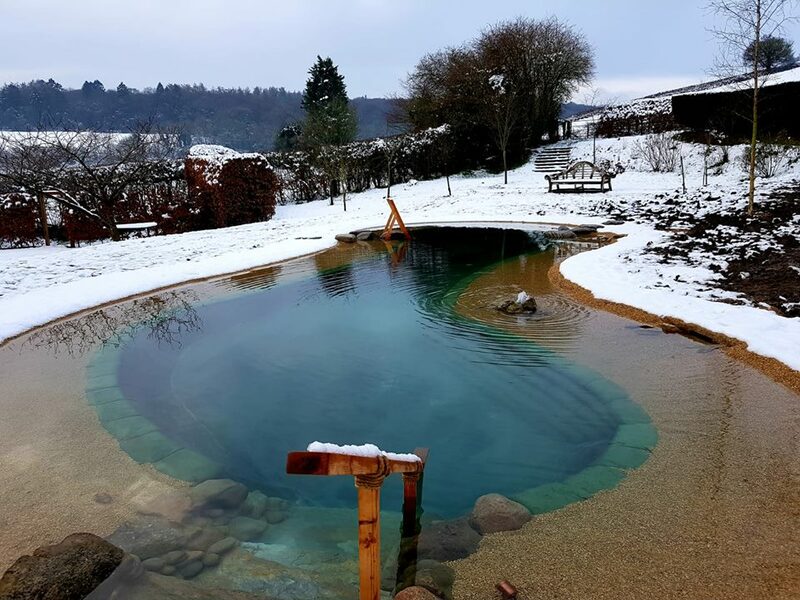 Ever wondered what happens to a natural swimming pond in winter? The big advantage of a swimming pond over a conventional pool is that a pond looks beautiful all year round. Constantly alive and evolving, swimming ponds change with the seasons, maturing over the years. 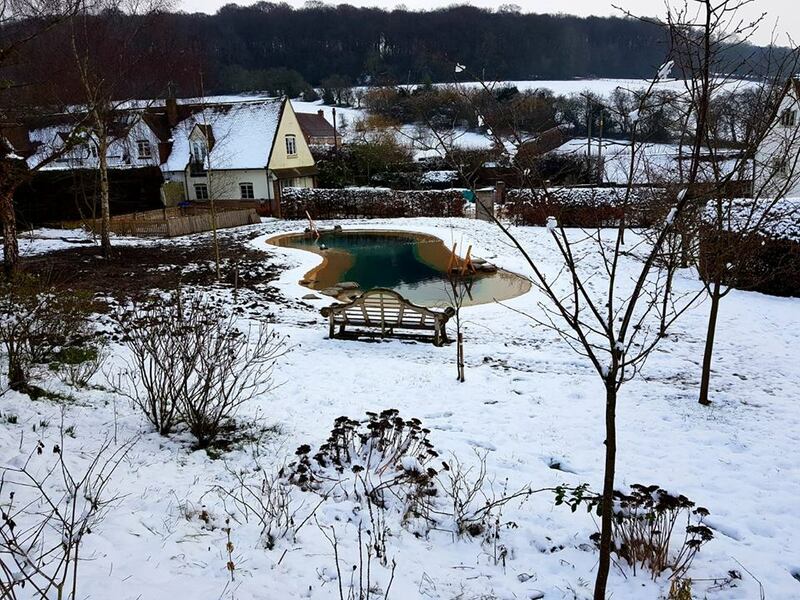 This beautiful swimming pond by our long standing customer Gartenart Swimming Pools, is in Buckinghamshire and has become well established in just a few years. 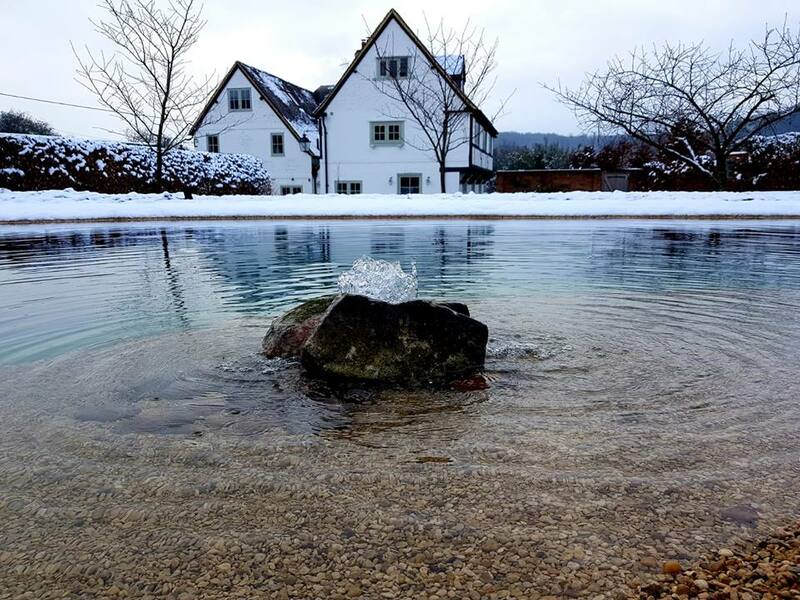 Unlike conventional chemical pools that are covered over during winter, natural swimming ponds continue to provide a source of fresh water for wildlife year round. 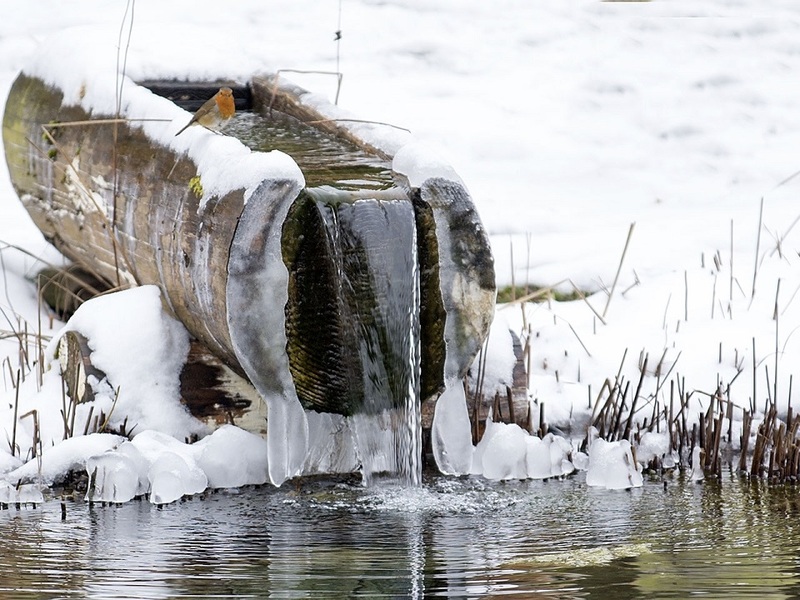 The Gartenart filter systems have a "summer" and a "winter" switch - over winter the pump is off nearly all the time as the pond lies largely dormant, ready for the increase in temperatures in the spring. A quick dip in a winter pond ? Perhaps only for the very brave ! 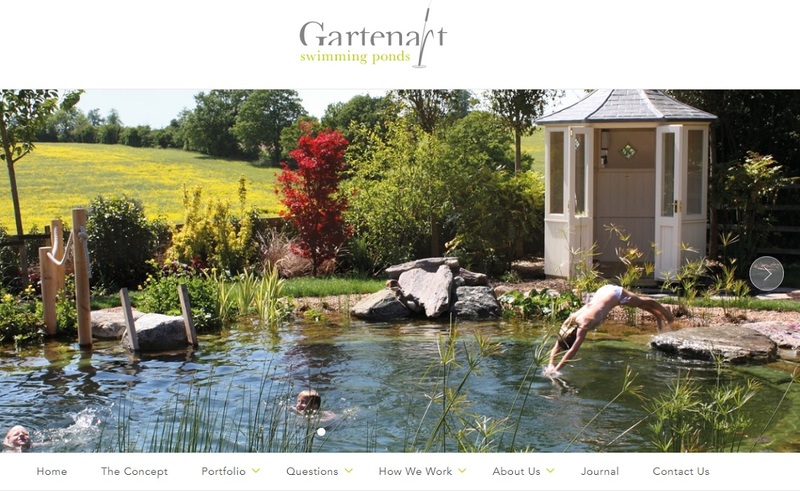 And, of course, this is how a swimming pond looks in summer... click on the picture to go to the Gartenart website. Gordon Low Products is a UK based pond liner fabricating company producing flexible waterproof liners and containment solutions for any scale of aquatics or water management project. Our expertise, product knowledge and exceptional customer service has been developed over more than 50 years of trading and today we are a trusted supplier, our products being specified by landscape architects, designers, engineers, installers and consultants for projects in the UK and abroad. Copyright © 2018 GORDON LOW PRODUCTS LTD. All rights reserved. Legal terms.